Customize with Method:CRM and instantly calculate sales commissions from QuickBooks. *30-day free trial. Includes free product demo and 1 free hour of customization services. 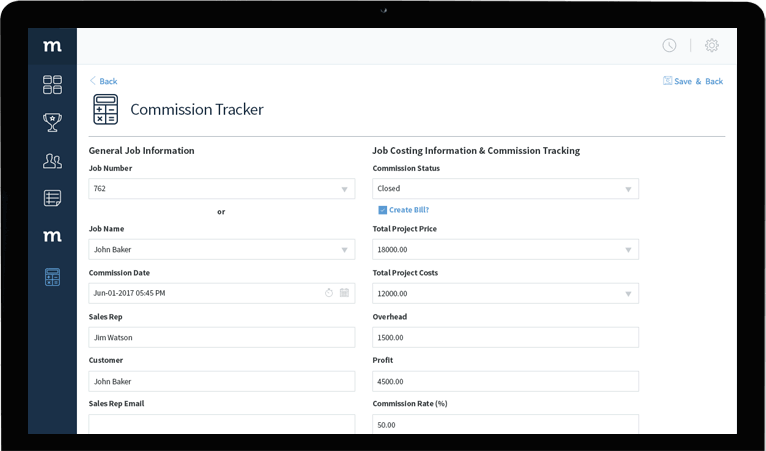 Save hours of work with automated commission tracking. No more spreadsheets or complicated reports. 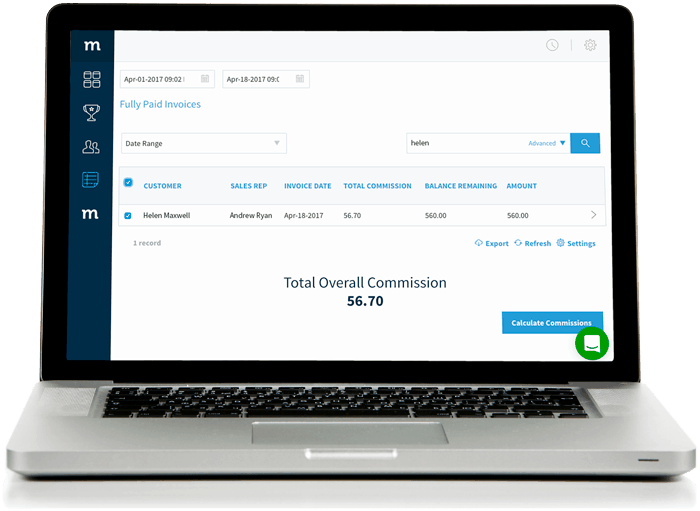 Start tracking commissions with a customized app that integrates with QuickBooks in real-time. No limitations. Calculate commissions by item, profit, invoice, payments received, and more. Sort and filter commissions by date, keywords, customer and sales rep.
It’s more than a financial report. Method:CRM provides sales insight at every level, incorporating customer notes, sales rep performance, and more. Simplify the process with drop-down options and instantly creates downloadable reports for your team. Work with our Customization Services team to create a commission report generator that fits your business. It’s free and easy to set-up. Sign up for one free hour of customization. Simply click on the green icon in the bottom right-hand corner of our site to connect with our team.